Apply for your firearms registration today! The Firearms Registration Act entered into effect on January 29, 2018, making it mandatory to register all non-restricted firearms on Quebec territory. 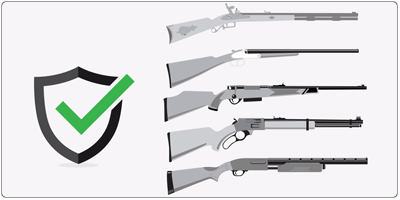 Effective from January 29, 2019, all unrestricted firearms on Québec territory must be registered when acquired. Visit the Information Material section and watch the video capsule titled Measuring the length of a firearm. You must become acquainted with all of the requisite information before you access our online services. To access your “Customer Space,” you must have in hand your email address and password. If you do not have an account, you must create one. Does the Act concern you? The Act covers all non-restricted firearms. These are commonly called shoulder arms, which are usually used for hunting, such as rifles or shotguns. They account for roughly 95% of the firearms found in the territory of Québec. non-restricted firearms that that are entrusted to a firearms business for the purpose of having them repaired, restored, maintained or altered if the firearm owner does not have a residence or business establishment in Québec. 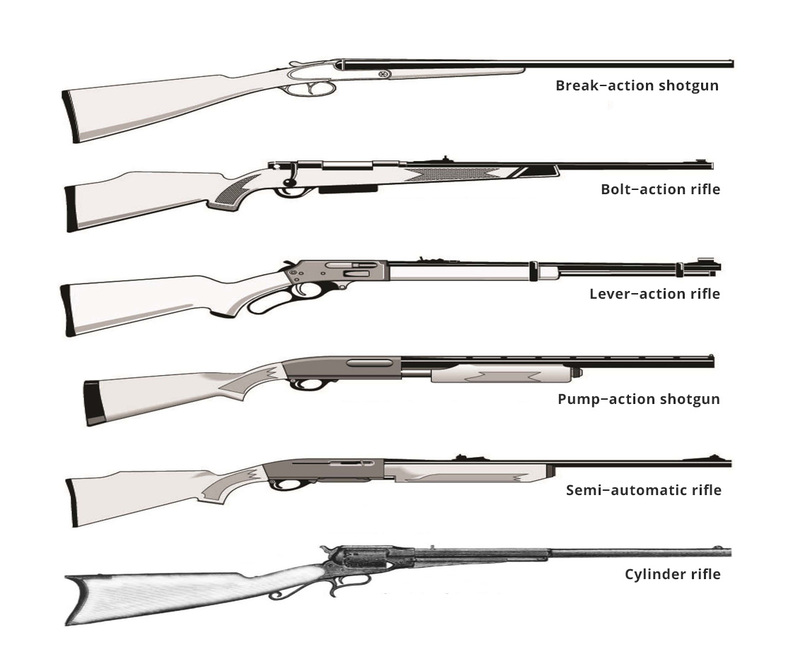 The other types of firearms, i.e. prohibited firearms and restricted firearms, are not covered by the Firearms Registration Act. Moreover, such firearms are subject to the federal registration system. all firearms businesses, i.e. a person, partnership or other group of persons that engages in the manufacture, assembly, purchase, sale, rental, display, repair, restoration, maintenance, alteration, storage, pawnbroking or consignment sale of firearms in Québec. any barreled weapon in respect of which it has been demonstrated that it is neither designed nor adapted to fire lead, bullets or any other projectile at an initial muzzle velocity of more than 152.4 meters per second or whose initial muzzle energy is more than 5.7 joules or any other projectile designed and adapted to reach an initial muzzle velocity of more than 152.4 meters per second or whose initial muzzle energy is more than 5.7 joules. The owners of firearms and the firearms covered by the Public Agents Firearms Regulations are exempted from the application of the Act since public agents have their own registration system. the firearms that are in the possession of a public services agency that are not the firearms of the agency. the place where the firearm is kept. If the place where the firearm is kept does not have a precise municipal address, it is possible to indicate its geolocation coordinates and the closest municipality. For additional information, go to: General information concerning the application to register one or more non−restricted firearms present in Québec - Individuals (349 Ko). Owners who have kept their registration certificates issued by the Royal Canadian Mounted Police (RCMP) under the former Canadian Firearms Registry program can refer to it to fill out most of the sections of the form pertaining to information on the firearm, provided that the information recorded is up to date. Notice : If you use your firearm possession and acquisition licence to enable us to confirm your identity, please ensure that the information provided corresponds exactly to the information recorded on your licence (number, last name, first name, date of birth). In case of difficulty, you can use other means to establish your identity, such as the registration number in the register of civil status or valid identity papers. To obtain assistance, please contact customer service at 1-888-335-9997 or by email. an identity card issued by a Canadian province or territory. A confirmation of registration will be transmitted for each application submitted to the Service d’immatriculation des armes à feu du Québec. The owner must verify that the information conforms to that provided and promptly inform the SIAF of any error. For each firearm registered, the confirmation will contain a unique firearm number (UFAN) and a firearm registration number (FARN). The UFAN, which must be affixed to the firearm, is linked to the firearm and will never change. The FARN, which does not have to be affixed to the firearm, is linked to the owner and will thus change if the owner of a given firearm changes. For each firearm registered, the owner will receive a unique firearm number (UFAN) and will be responsible for ensuring that the number is indelibly, legibly affixed to the corresponding firearm within 90 days. In most instances, the UFAN will be generated from the firearm’s serial number if the latter is unique. Therefore, if the UFAN is identical to the number already affixed to the firearms, e.g. the serial number, no additional action is required from the owner. In other cases, the owner must affix the UFAN to his firearm. The UFAN must be affixed in a visible location on the frame or the receiver or in a location that requires the dismantling of the latter in the case of a rare firearm of outstanding value if that is an established practice of the manufacturer or there is not visible location on the firearm that is suitable. The owner must determine the best means of affixing the UFAN to his firearm insofar as the criteria respecting indelibility (cannot be erased) and legibility (is readable) are respected. Engraving is not compulsory but represents one way to comply with the manner of affixing the UFAN. Furthermore, the owner of a firearm who settles in Québec has 45 days following the date of settlement to apply for registration. It should be noted that these requirements do not apply to a firearm that is present in the territory of Québec for a period of 45 days or less or to a firearm that is entrusted to a firearms business for repair, restoration, maintenance or modification if the owner of the firearm has neither a residence nor an establishment in Québec. The registration of a firearm is free for everyone. the confirmation that the new owner holds a valid firearms licence. It should be noted that if the firearm has never been registered the notice of transfer of ownership is not required. The new owner must simply apply to register his firearm. You must ensure that the new owner holds either a firearms business licence or a valid Possession and Acquisition Licence (PAL). If the transfer of ownership is made to an individual (acquirer), you must be in the presence of that person to carry out the transaction. If you cannot be in the presence of the individual (acquirer), you must use the form Notice of transfer of ownership of one or more non-restricted – Individuals (41 Ko). If the transfer of ownership is made to a business, the notification of transfer can be filled out directly at the business. Following the transmission of the notice of transfer, a confirmation will be transmitted to the current owner and the new owner. The new owner must subsequently register the firearm that he has just acquired. The notice of transfer must be issued as soon as the owner of the registered firearm transfers ownership of it. The notice of transfer of ownership of a firearm is free. Following the transfer, the new owner must promptly register the firearm. The online service is available to owners and facilitates the registration at the time of the transfer. Otherwise, the new owner must carry out the registration process. The owner of a registered firearm must notify the Service d’immatriculation des armes à feu of any change in the information provided at the time of registration. If the place where the firearm is kept changes, the owner must notify the Service d’immatriculation des armes à feu. 2) for a period of less than 15 days. If one of the conditions is not satisfied, the owner must notify the SIAF no later than 15 days after the change of place where the firearm is kept, free of charge online or by telephone. The owner must notify the SIAF no later than 30 days after the modification of other information provided, e.g. telephone number or characteristics of the firearm, free of charge online or by telephone. Anyone in possession of a non-restricted firearm (not only the owner) must be able to communicate the FARN if a peace officer requests it. No specific format is required. The person in possession of the non-restricted firearm must simply be able to communicate it. Anyone in possession of a non-restricted firearm (not only the owner) must agree to make the firearm available to a peace officer who so demands if he wishes to verify the firearm’s compliance. using forms that can be downloaded and sent by mail. The information collected is used solely to process your application. Failure to provide such information can lead to a delay in processing your application or the rejection of it. Only authorized members of our personnel have access to the information. Personal information is only communicated to another organization when such disclosure is permitted by law or when you consent to it.